Meknes is a gem of a city stretching between Fes and Rabat. Meknes is also a short distance from the ancient Roman ruins of Volubilis. So what is there about Meknes that makes it special, considering most travelers will cavort to Marrakech or Fes… Well, Meknes is the first imperial city of Morocco, founded around 16 Century by Moulay Ismail. 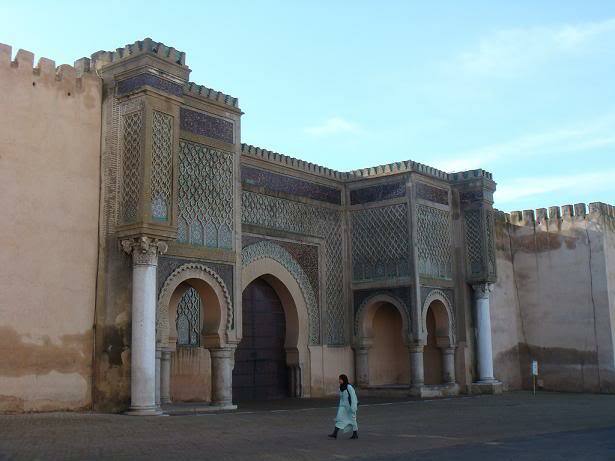 His name may not mean much to the average traveler but Meknes owes its most beautiful buildings to him. The town boasts impressive architecture, castles, and religious buildings in its historic district and might I add that the Historic City of Meknes is a UNESCO world heritage site. Thank you for this insightful response about Immouzer. I have heard of Immouzer being off the beaten path and a unique place. You have given me an area to visit on my next trip to Morocco. Are these cave houses? Just recently I visited Bhalil which is in Sefrou on the way towards Ifrane and there were a number of cave houses in Bhalil. Very extreme and indeed different.